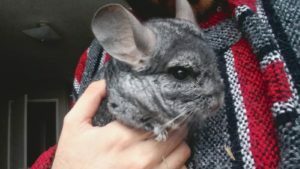 Adopting a Chinchilla was one of my favourite decisions to make so far. As our tagline is “watch our house turn into a zoo” I’ve made it my mission to take in any surrenders that I can. The first few days of having Gary I was terrified I was doing everything wrong. We already had a sad experience with Twitch, our hamster who passed away suddenly while under our care, and I didn’t want to have to experience a similar situation. 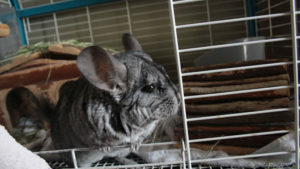 We had heard about Gary about 2 weeks before we adopted him and I made sure I did a whole lot of reading on Chinchillas to make sure that we could properly take care of him and that our home would be suitable for him. The first night with Gary was pretty difficult. He screamed quite a bit and didn’t want to eat or drink. So, we left him alone, making sure to add fresh hay and water if we noticed either were getting low. However, on the third day of having him, we felt like he was accustomed enough to his new home to give him a bath and let me tell you pet parents, it was one of the sweetest experiences in my life. I’ve never seen videos of Chinchillas taking dust baths, but I can assure you it’s a million times cuter than cats taking baths. Gary hopped instantly into the bath that we set out for him and started doing kicks and flips, making sure to cover his whole body with dust. Honestly, I think bath time is his favourite part of the day and it really looks more like “playtime” than anything else. We currently change Gary’s bedding every three days, making sure he also gets a bath, and it’s still my favourite time of day with him. I do, however, have to find more ways to bond with Gary. It’s hard when you have two cats running wild around the house, especially because they have obvious signs of affection. Sometimes it feels like small mammals want to be left alone, even though that’s not true. Even fish like it when you talk to them! But enough about that, here’s an adorable video of Gary taking a bath the other day! 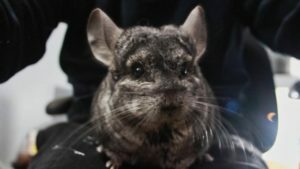 Enjoy and see how cute it is to watch a Chinchilla kick and flip! Haha! Mommy would definitely get mad! Gary taking his bath must be one of the cutest things that we have ever seen. Just when he turns around inside of it and starts kicking his feet is so wonderful. Thanks for sharing the video. 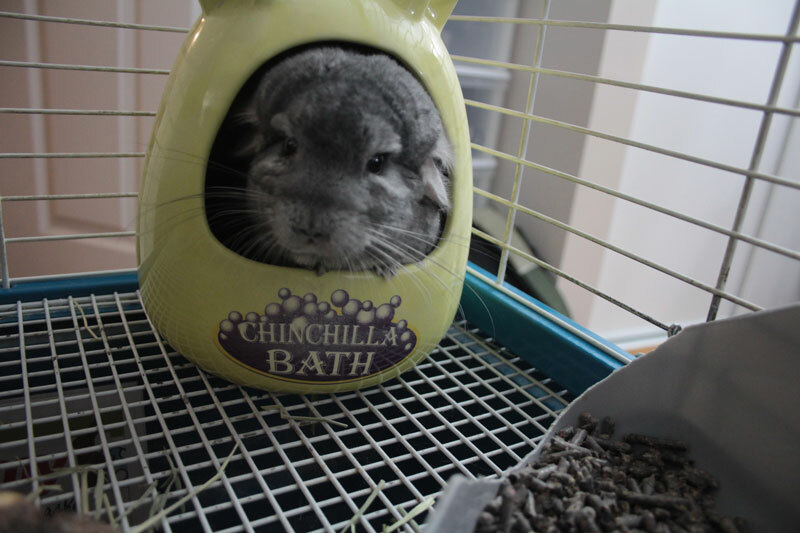 This was the first time we have seen a chinchilla taking a bath. Have a great day. It’s mega adorable eh? I still love seeing it every time!